As the world goes digital, I'm one of those girls who's still holding on. Holding on with a "you can have it when I'm dead" kind of grip. I still prefer the feel of real paper pages in my hands, and my beloved magazines are no exception. No amount of pinterest can replace the satisfaction of tearing out my favorites and stuffing them in a folder for a rainy day (my folder = pinterest before pinterest cool). But as my folder fills up, there aren't a lot of ideas I've actually implemented. And the same goes for my Pinterest boards. So I have a fun new idea I'm calling Friday Hacks. The plan is to dedicate any Friday posts to some of my favorite ideas from magazine pages (or pinterest) and ways to DIY hack them on the cheap! So today we kick of the Friday Hack series with this page pulled from an issue of House Beautiful earlier this year. 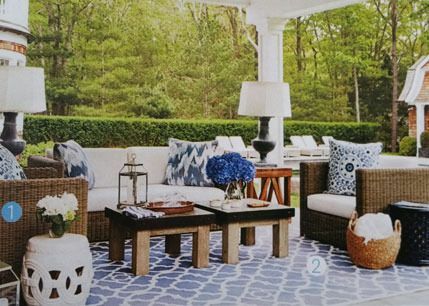 A fresh, beautiful outdoor living space anchored by some sweet, chunky modular coffee table units. Know what guys? We can totally make those. And it might be the easiest thing you ever build. Please read all the directions before beginning, and cut your pieces as you go, measuring before each cut. Use glue in each step. Pre-drill and countersink your screws if you aren't using a Kreg Jig. Home Improvement stores will generally cut your plywood for you. 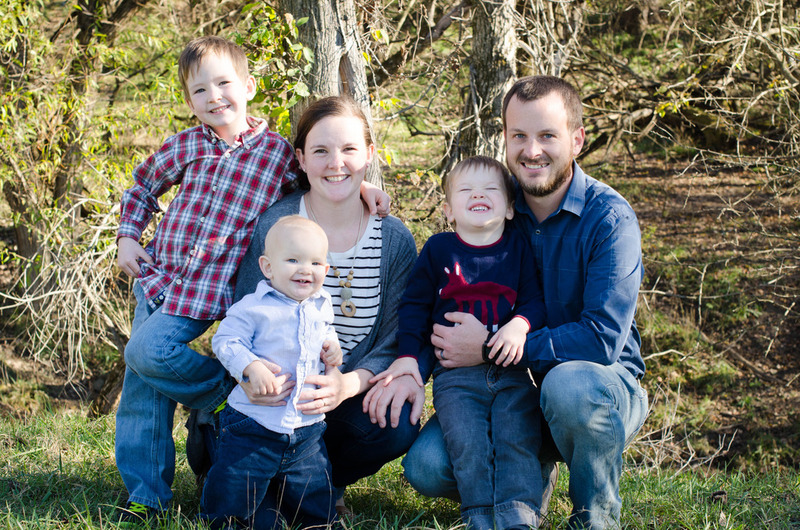 I have not built from these plans yet, so measure lots to make sure things work out! Be careful and have fun! 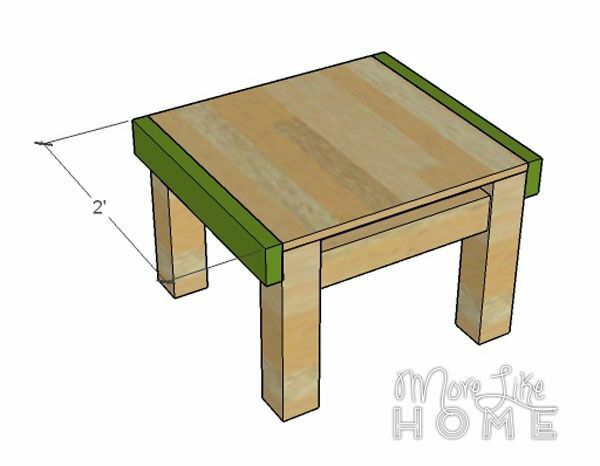 Start by attaching one leg (B) in each corner of the tabletop (A). 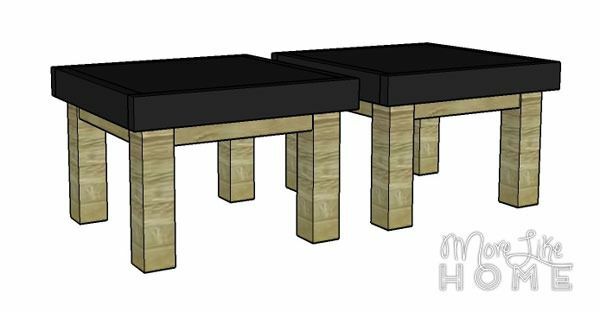 You can drill down through the top into the legs with 1.25" screws, or use a Kreg Jig to attach them from below with 1.25" Kreg Screws to avoid any holes or visible screws in the top (I would make pocket holes on at least two sides of each leg since they are so thick). 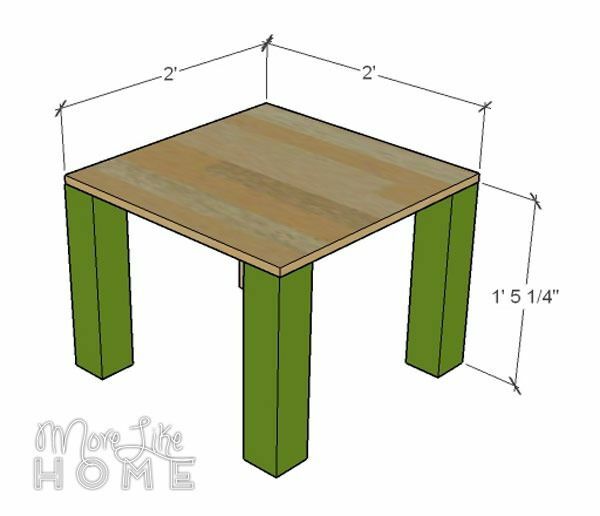 Next attach a side board (C) between the legs on each side of the table. This side board should be set down 1.5" from the top of the legs (an easy way to maintain this gap while you install the boards is to use a scrap 2x4 turned on it's side as a temporary spacer! ), and inset about 1/4" from the face of the legs. 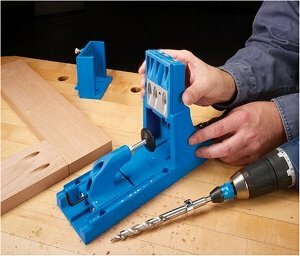 You can use the Kreg Jig with 2 1/2" screws to attach them with no visible holes, or drill through the legs into the sides with big old 4" screws. 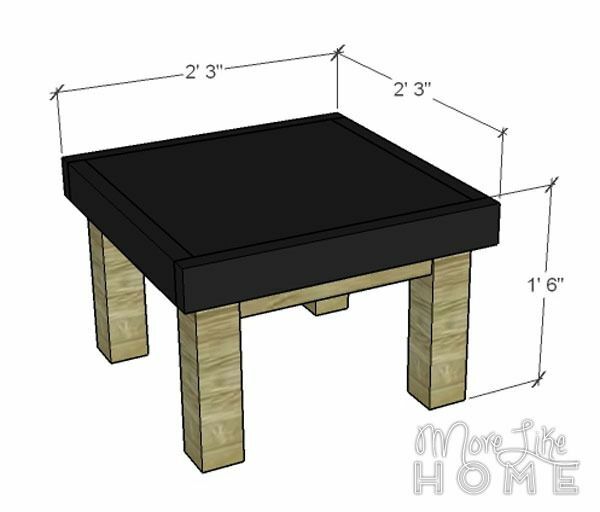 Attach the side trim (D) along two sides of the table. You want it flush with the top and ends of the tabletop. Screw through the trim boards into the legs and the sides of the top with 2" screws. If you want to avoid visible holes you could use long finishing nails instead. Just make sure you use glue and avoid lifting the table by these boards. And finally attach the remain trim pieces (E). They should be flush all around. 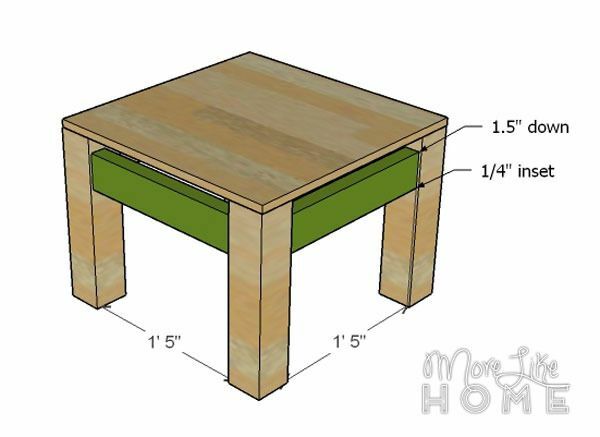 Drill through the trim pieces into the side trim, legs, and table top with 2" screws. If you want to avoid visible holes you could use long finishing nails instead. Just make sure you use glue and avoid carrying the table by these boards. 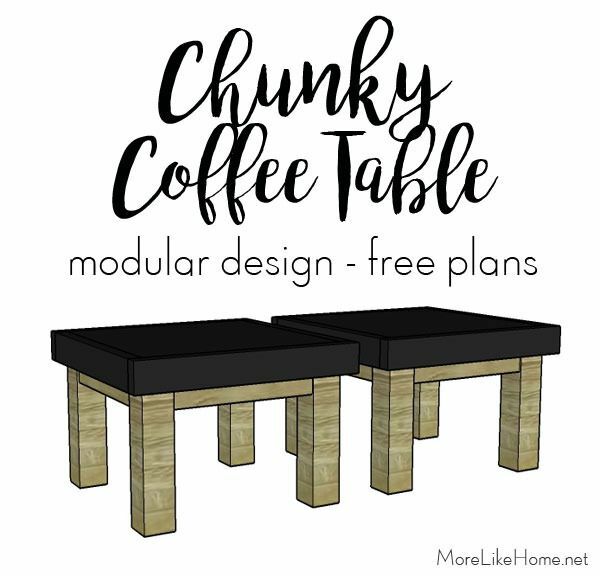 Now all that's left is finishing your table (or tables if you made a pair)! Start by filling any holes with wood filler and letting it dry. Then thoroughly sand the table before doing any paint or stain. Sanding makes a huge difference in whether the finished piece looks professional. Then you can finish with any paint or stain you like. To get the look of the original photo try a black paint on top with a rustic stain on the the legs and sides. Seal it with a good polyurethane. 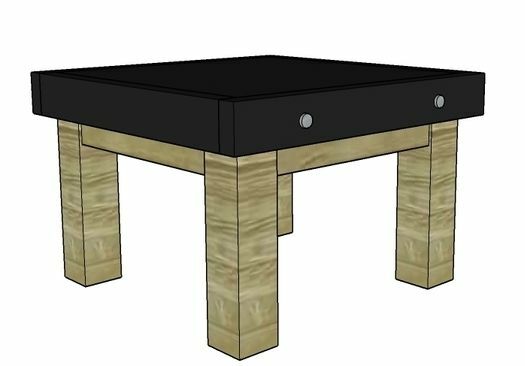 You can also add an industrial flair by putting a two large 2" bolts through the front and back trim of each table. Just make sure you drill high enough that your bolts are above the side boards, and far enough in that you don't hit the legs so you can get the nuts on. 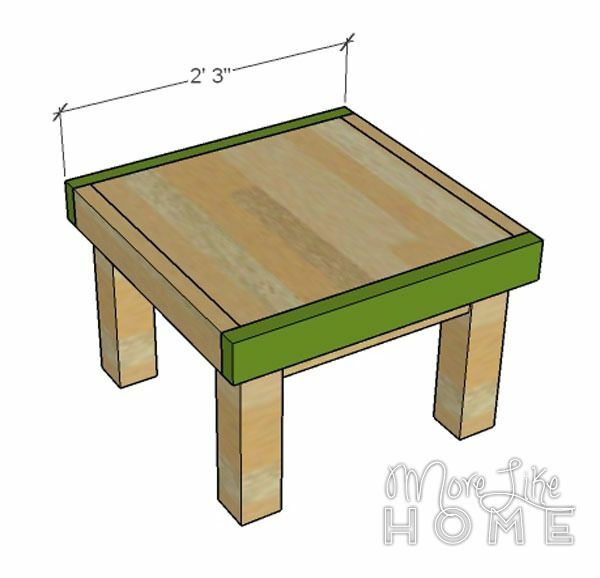 If you'll actually be using these tables outdoors you should consider a slatted top instead, but for today we're shooting for a close match of the inspiration page. Any other magazine readers out there? Which one is your favorite? Colored Window Frames - What's your take?